Leverage can be a great help or a curse in investing. Whether you’re an average investor with a moderate risk tolerance level or an aggressive investor with a high-risk tolerance lever, there may be a place for leverage in your financial plan. 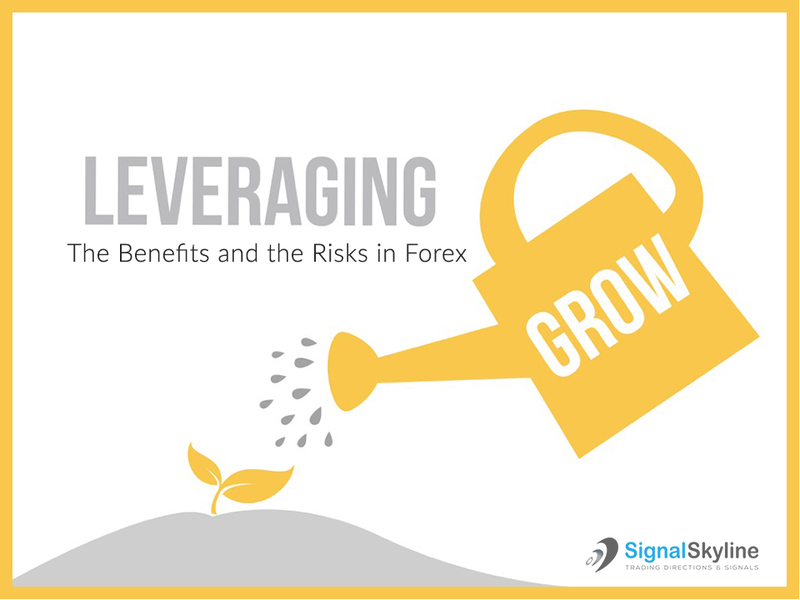 In forex, traders are afforded more opportunities to use leverage – but also more risk associated with that leverage. Whether you’re an investor saving for retirement or a forex trader, managing leverage is important. At its most basic level, leverage provides traders the chance to increase their returns. The potential increase in returns also comes with that the losses can be just as great. Amazingly, forex traders can leverage their accounts for up to 400:1. Needless to say, this has the potential to create both opportunities and problems. While this level of risk is available, it’s like a credit card without a credit limit – in many cases, traders are best advised to place caps on their leverage. For many traders, they have 2:1 leverage. In financial terms, this can amount to trading a standard lot of $100,000 with $50,000 in an account. Another example is trading one mini lot of $10,000 with $5,000 in an account or one micro lot of $1,000 with $500 on hand. Leverage is entirely dependent on the level of margin permitted per trade. Expressed differently, the margin is nothing more than a commitment that the trader makes to protect the broker from possible losses. In Forex, differing levels of margin are used. Some of the most common ratios are 20:1, 33:1, 50:1, 100:1 and 200:1. Forex traders often fail because there is undercapitalization for the trades they’re making. Whether greed or some other factor drives forex traders to take such levels of risk, it’s a potential problem that traders need to address. Here’s a case study: with a leverage ratio of 100:1, a two percent drop in price can produce a 200 percent loss. In scenarios where a small loss can result in trading out early, problems become worse because the account balance is depleted, which enhances the leverage ratio. It is clear that leverage can extrapolate losses; leverage can also heighten costs per transaction. In this scenario, a trader with $500 is leveraged at 100:1 and bought $50,000 worth of a currency pair with a five-pip spread. Additionally, the transaction fee amounts to $25 [(1/pip x 5 pip spread) x 5 lots]. Prior to the beginning of the trade, the trader needs to make at least $25 to cover the transaction fee, which is five percent of the account value. The more leverage, the more transaction fees the trader pays as a percentage of account value. If that weren’t enough, costs rise as accounts drop. In terms of volatility, forex markets will generally be less volatile in the long-run than equity markets. That said, if a trader is so leveraged that absorbing losses and their ramifications are impossible, it’s time to consider whether leverage makes sense. If this weren’t enough to consider, forex markets are heavily influenced by economic and political factors. In forex trading, just as in almost any other undertaking in business, to avoid catastrophes, an inexperienced trader will seek mentors in forex trading. Under these circumstances, the mentor will help the trader make good decisions about planning and dissuade the trader from becoming a massive risk-taking gambler. Sure, a grasp of economics and market analysis is vital to being a successful trader, the biggest factor between success and failure is how the trader manages his/her account. Next What Are Crypto-Currencies And The Blockchain?